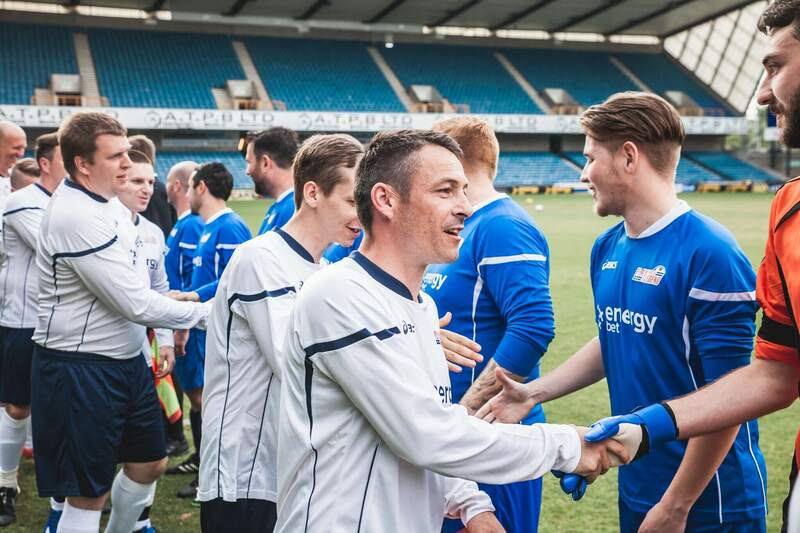 As proud partner of Millwall FC, we were able to invite 28 Millwall fans who deposited and bet with Energybet to play a 90 minute match on the pitch at The Den. These fans got to experience the feeling of entering the changing room and seeing a shirt with their name on the back and walking out to the same tune the first team do on match day. Before that, all the lads got the go through a tough warm up to get the muscles ready for the actual game. 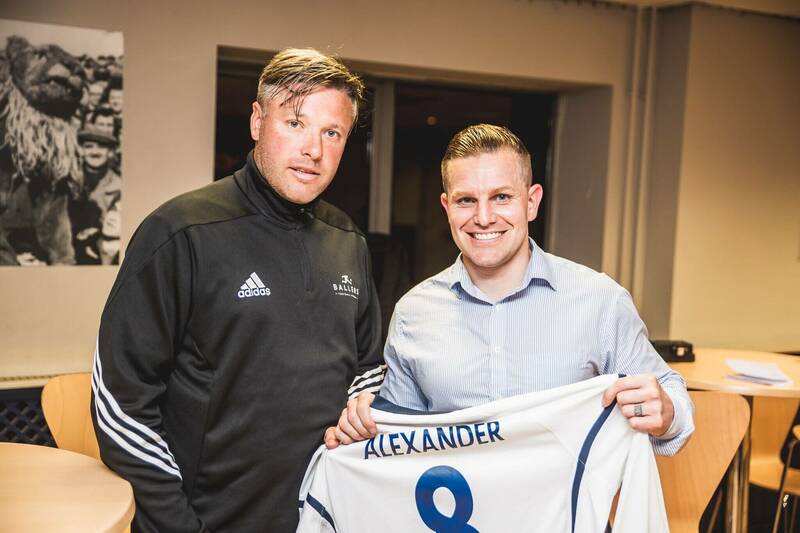 To add to the excitement ex Millwall player Gary Alexander was present who played a half on both teams and his class showed in the first half leading the ‘home’ team to a 5-0 lead. The scoreline could have been a lot different if it was not for the goalkeeper, who was obviously inspired by the occasion and made a string of top class saves in both halves giving him a well-deserved man of the match award. 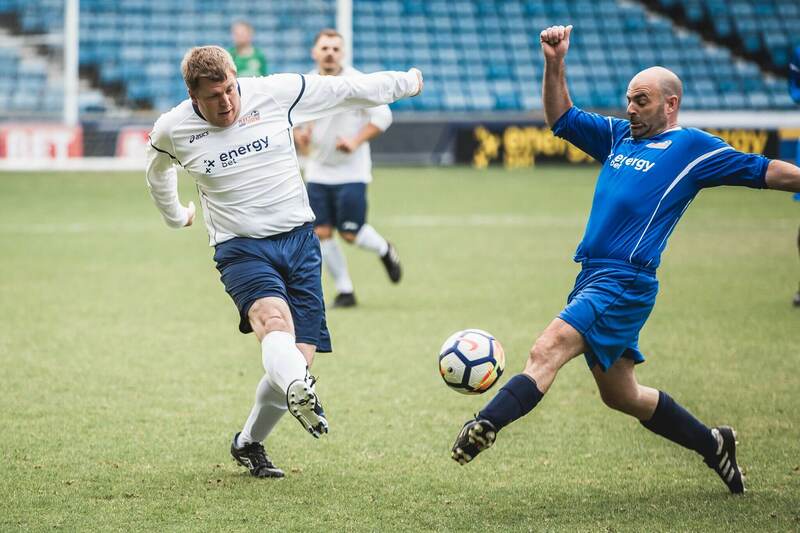 The match was played in good spirit by all the fans and was a great event for UK Representative of Energybet Russell Yershon to host with Play With A Legend.